Home > News > Tips of our bike tour ③!!! 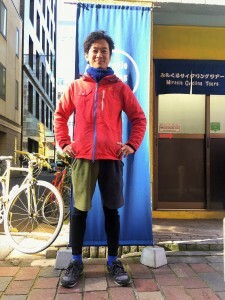 Tips of our bike tour ③!!! Before busy holiday season begins, I would like to introduce our bike tours more. Well prepared never get freezing! In general, winter is very cold in Tokyo about 5 degrees in the morning and evening, around 10 degrees in daytime. Here is our guide, Soshi’s outfit of the day. 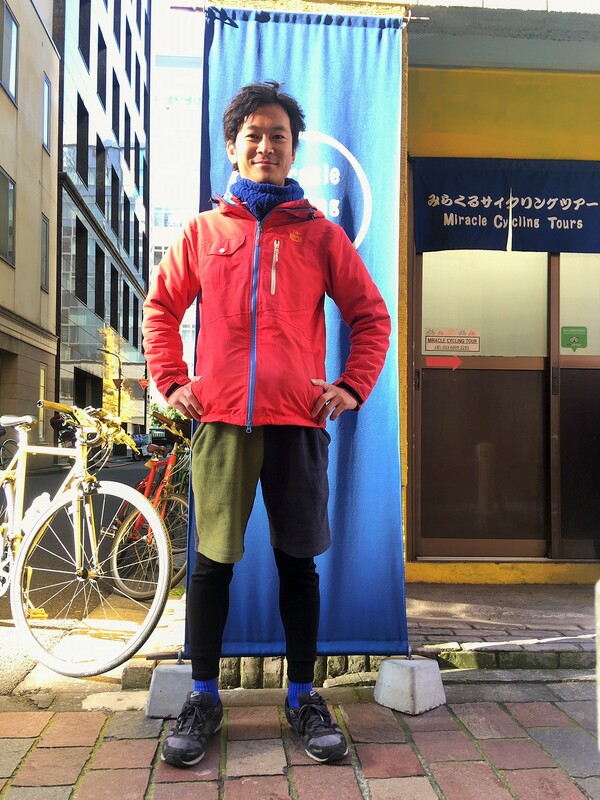 Windproof jacket, Neck warmer, Warm pants and Leggings, Warm Socks + Gloves. Also Down jacket, Knit, Boots, Beanie, etc. are not too much. Some guests wore just jeans, a T-shirt and a Hoodie!!! Please prepare something wind proof! If you have ski jacket, yes! bring it! I know I (a typical Japanese female :) am sensitive to the cold more than travelers from all over the world.